Aero Electric Aircraft Corp (AEAC) has announced plans for a four-place airplane, "Sun Flyer 4," the next addition to the Sun Flyer family of aircraft. In addition, Spartan College of Aeronautics and Technology is the first flight school to hold a deposit for a Sun Flyer 4. The two-seat Sun Flyer, "Sun Flyer 2," will be the first FAA-certified all-electric trainer aircraft under FAR Part-23. The new four-seat will closely follow the certification of the two-seat version. Features of the Sun Flyer 4 include a 46-inch cabin width, 38-foot wing span, ballistic parachute recovery system and a gross weight of 2,700 lbs., with a full 800 lbs. of payload for pilot and passengers. "Like Sun Flyer 2, Sun Flyer 4 will run completely on batteries," said George Bye, CEO. "As a result, the four-seat airplane will have operating costs five times lower than costs associated with similar combustion-engine aircraft. With four hours of flying time, the versatile Sun Flyer 4 will appeal to both flight schools and pilot-owners." Spartan College, which holds 25 deposits for production Sun Flyer 2s, is the first flight school to hold a deposit for a Sun Flyer 4. Spartan will develop a complete training system for the Sun Flyer family of aircraft, including a course syllabus for airframe and powerplant (A&P) technicians to receive specialized electric maintenance training. "Providing our students the opportunity to train on a variety of airplane models is paramount to a diversified flight education. The addition of the four-seat airplane will enable us to take multiple students on cross-country flights during their training on these groundbreaking aircraft," said Dr. Dan Peterson, President and CEO of Spartan College. 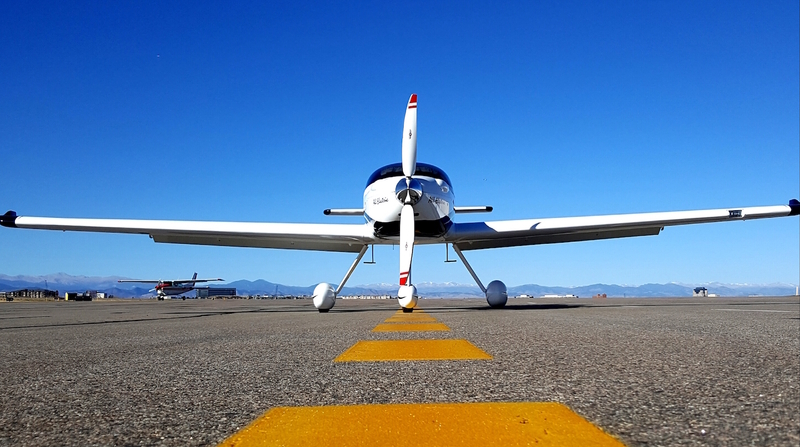 Sun Flyer is intended to be the first FAA-certified, U.S.-sponsored, practical, all-electric airplane to serve the flight training and general aviation markets. It features a low operating cost, low aircraft unit cost, low noise and the elimination of exhaust pollutants. Electric energy, or "fuel," cost for Sun Flyer is multiples lower compared to the per-hour cost for piston-engine leaded avgas.